Every year, BrazilJS attracts JS and front-end experts from all over the world. Toptal is pleased to sponsor this exciting conference, taking place August 24-25. • And why you don’t need to give up your current job in order to also be a remote freelancer. 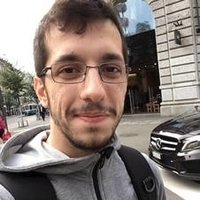 The event will be is an excellent opportunity to meet Felipe and talk about Toptal work, as well as to introduce colleagues who may be interested in learning more.